Good news! 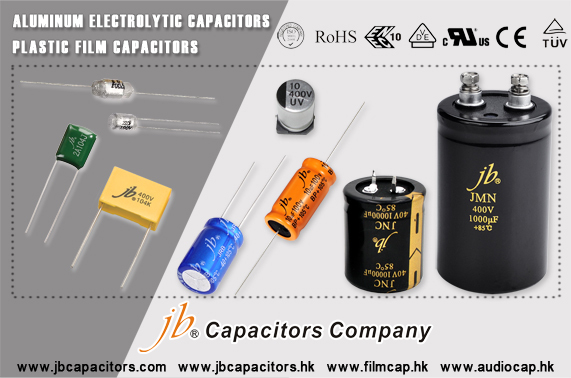 Jb capacitors company extend production again. 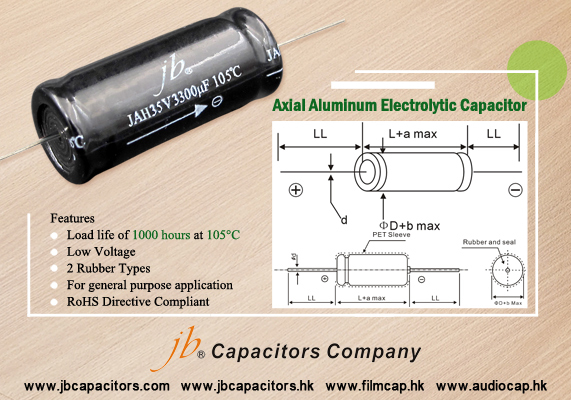 Below Axial aluminum electrolytic capacitors are available for you. Pls. check our datasheet from our website, collect your RFQs and send to us for quote. jb - Are You Getting Tired for Low Quality No Brand Products? 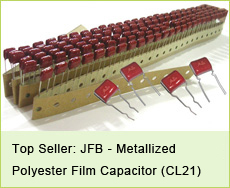 jb is ISO professional capacitors manufacturer since 1980. 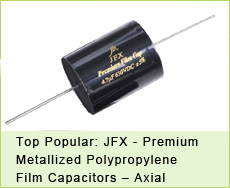 We produce whole series Plastic Film Capacitor and Aluminum Electrolytic Capacitors. We know it's not easy to keep brand value, we do care about our clients same as you. We provide you guaranteed quality, reasonable price and fast customer response. Welcome to check our on-line catalog to know jb more. let we give you more choices, let jb be your good partner. 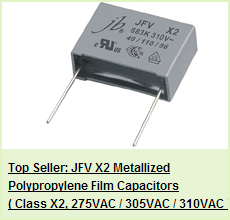 Do you know that there is a famous website has analysis on present competitive situation of Aluminum Capacitors? Aluminum Capacitors Market report provides the detail you need including market shares and developing growth rate of top-line vendors. According to the report, the leading vendor is including Nippon Chemi-Con, Nichicon, Rubycon, Panasonic, Vishay, KEMET, EPCOS and others. Moreover, they have started to invest in China to build their China-based facilities. Turing to jb Capacitors Company, we are doing business in China for many years, we are familiar with the environment, law, human resource and so on. We even have Taiwan office and Hong Kong HQ. jb has grown year by year, and keeping our high quality with competitive price. jb is just your best choice. Contact us for more products information.